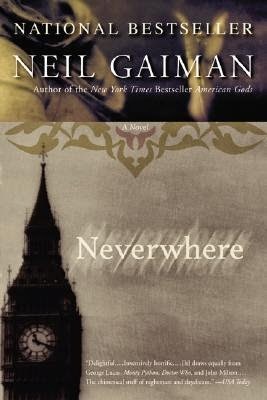 Before I do my actual review, I think fairness requires me to point out that this was originally written by Neil Gaiman as a six-part BBC mini-series, most of which I have seen (it's available via Hulu). It's fairly terrible, but in a thoroughly enjoyable, mid-90's sci-fic/fantasy kind of way. 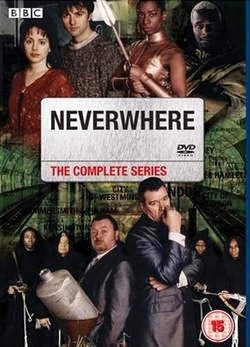 If you're a fan of somewhat dated and cheesy fantasy series (I'd compare it to early episodes of Christopher Eccleston's Dr. Who) you should give it a try. The rest of my review, however, will be devoted to the book, which is a novelization of the series.